Logan is pure Alpha, a genetically enhanced human who has escaped from the brutal gated city in which he was designed, and from the creators who want him dead. 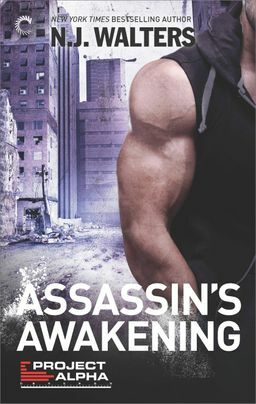 Running for his life across a ravaged Earth, Logan's goal is to survive. It's in his blood. Until he awakens wounded, bound and naked, exposed to a beautiful stranger. Now he's vulnerable to sensations he's never felt before. Mercy Dockins has tended to many wounded men, but none as intoxicatingly perfect as Logan. Or as responsive to her curative strokes. But as passion ignites between them, Mercy's very purpose in the bleak new world order is shaken to its core: Logan has brought her not only ecstasy, but danger, too. He's drawn the enemy to her sanctuary, and now their love could soon be just another casualty of war.